Some kind of middle ground in apparel must exist between Andre Dawson‘s funeral suit for his family business and the T-shirt and trunks for the youth swimming program that bears his Hall of Fame name in west suburban Lombard. 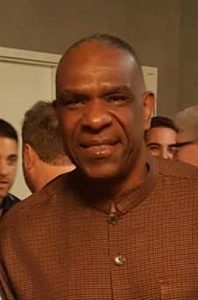 Andre Dawson is starting his first year as a Cubs ambassador. In an under-publicized manner, Dawson has indeed worn the Cubs uniform officially for the first time in 26 years in spring training, and hopes to do so again sometime this season for Cubs minor leaguers. Add in more brightly-colored business casual wear for meeting fans and sponsors in other duties as a new team ambassador, and you have the perfect balance in the life of one of the most respected Cubs in history. “Let’s say I’m all over the place,” Dawson, tracked down in Chicago the other day, said of his 2018 schedule. His base is hometown Miami, but much of his heart is in the city that he claims vaulted him into Cooperstown via six memorable Cubs seasons from 1987 to 1992. Mention that he’d spend even more time in Chicago if the temperature did not drop below 50 and he’d not have to wear anything heavier than a windbreaker, and Dawson breaks into a knowing laugh. His Cubs role, though, is still in development. He had talked to team chairman Tom Ricketts about a return to the organization on several occasions. He was officially free when he left the Marlins. And Dawson received an alumni 2016 World Series ring in 2017, proudly wearing the bling on three occasions at events. The Chicago Baseball Museum played a role in ensuring Dawson got the ring. The only better outcome would have been Dawson earning the jewelry as a Cubs player in, say, 1989, but that’s a whole other story. The Cubs now have all their living Hall of Famers in the fold — Dawson, Fergie Jenkins and Ryne Sandberg as ambassadors, and Billy Williams as a special assistant. By now, Billy must be closing in on Yosh Kawano for most years in the team employ. “Whistler” has 57 seasons recorded as a player, coach, special assistant and marketing speaker. 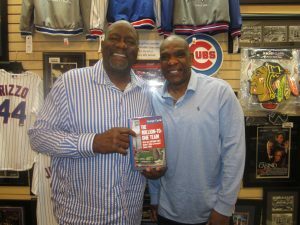 Lee Smith (left) and Andre Dawson were 1975 draftees, Smith being picked by the Cubs nine rounds ahead of Dawson. But Dawson, who will represent the Cubs at the 2018 draft, made the Hall of Fame. Dawson will represent the Cubs at the amateur draft starting Monday night, June 4. Back in 1975, the Cubs knew all about the Hawk coming out of Florida, but they passed on him, leaving Montreal to snare his rights. Outfielder Brian Rosinski of Evanston Township High School was the Cubs’ No. 1 pick in ’75. Injuries derailed Rosinski’s career. Master scout Buck O’Neil got GM John Holland to pick Lee Arthur Smith at No. 2. Big Lee ended up as the only ’75 Cubs draftee to make the majors — and he should have gone all the way to Cooperstown. Dawson eventually was picked by Montreal in the 11th round. Choosing ahead of the Expos, the Cubs picked shortstop Robert Umfleet out of the University of Oklahoma. Smith and Dawson do a lot of appearances together, so the subject of draft pedigree probably comes up. A minor-league instructional tour for Dawson at some point this season is under discussion. The Cubs are multiple-men deep in hitting instructors, but they could always use the acumen as an eight-time Gold Glove winner in the outfield. Dawson the outfield counselor would be welcome. The Cubs haven’t employed such a big name in the minor leagues since Jimmy Piersall‘s 14-season stint starting in the mid-1980s. Baseball thinking men like Doug Glanville and Darrin Jackson praised Piersall’s animated instruction. Dawson would not be available full-time like Piersall. But the Hawk with his commanding presence and credentials will command attention whenever he steps on the field. Dawson may not bring up the anecdote to his Cubs pupils, but fundamental outfield play can win games all by itself. Somewhere in the WGN archives is his laser throw to zap a Giants baserunner at home plate and end a Wrigley Field game in 1991. One wants to be a fly on the wall when Dawson and fellow Miami native Albert Almora, Jr., two experts in center-field play, get together. Dawson was a Montreal Expos Gold Glover in center before the ravages of the Olympic Stadium artificial turf caused his shift to right. So he knows what goes into a champion ballhawk.